App Monetization is pivotal to all developers, not only should the revenue for your app be greater than the cost of user acquisition. A developer in doing so should be able to reap sweet fruits for his endless labor without running into serious business problems. Your brain child, your app can be your source of generating significant revenue. Amazed? 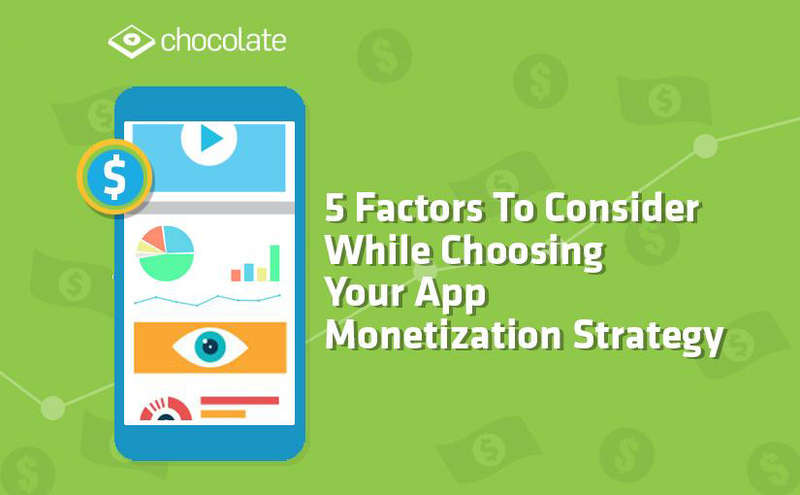 By the time you are finished reading this article you’ll know the 5 essentials to be factored in choosing your app monetization strategy. With over 5 million apps competing for user attention its an absolute must for app marketers to identify their niche audience. Your target audiences’ demographic, psychographic and lifestyle data gives you deeper insights into what resonates with them. An understanding of the consumers’ activities like length of gaming session is indictive of their engagement level, the fact that a user interacts with a rewarded ad unfolds their interests and shows how they like to entertain themselves. Paying close attention to such details will let you provide value to your users by offering them more personalized experiences. This translates in to having more engaged consumers and boosts profitability. Localytics, AppAnnie, GameAnalytics, Countly, are just few of the many app analytics tools available for developers to choose from based on his goals. 33% of mobile app developers use more than one tool to track marketing, in-app and performance analytics. These tools can segment your users based on their in-app activity and help you deliver targeted & predictive marketing campaigns. From understanding different ad formats, managing placements, to setting price targets these tools help developers grow their business by enabling better ROI. 73% gamers say they are happy with ads rather than paying for a game. Developers have discovered that different ad formats & their placement significantly impacts user experience. Ads delivered strategically not only increase engagement, improve lifetime value, but also grow revenue. 62% users regularly choose to engage with video ads in exchange for an in-app reward. For developers looking to reduce dependencies on in-app purchases interactive video ads like rewarded video, playable ads are a compelling source of monetization. If you want to take a more organic approach, consider native ads which seamlessly fit in the game’s interface. A study by IHS Research shows that native ads result in 3X better user retention. An understanding of your business objectives and app’s use cases helps set up clear and definable goals – increasing revenue, enhancing user experience, etc. Your goals aid you in selecting an appropriate solution provider who can tailor make monetization strategies to best fit your objectives. Ease/speed of integration: Developers should select easy-to-understand and well-documented SDKs and APIs which they can use to integrate their apps with other services. Always read the documentation to understand how the SDK is structured, what dependency management tools it supports (Maven, CocoaPods or similar), and whether it offers support for popular gaming frameworks such as Unity or Cocos2d-x. Prior knowledge of the mobile ad SDK you’re signing up for will reduce the time and effort you spend on integration. To Download Chocolate Ad Mediation SDK, Click Here. GDPR – a challenge or opportunity for Mobile App Developers?